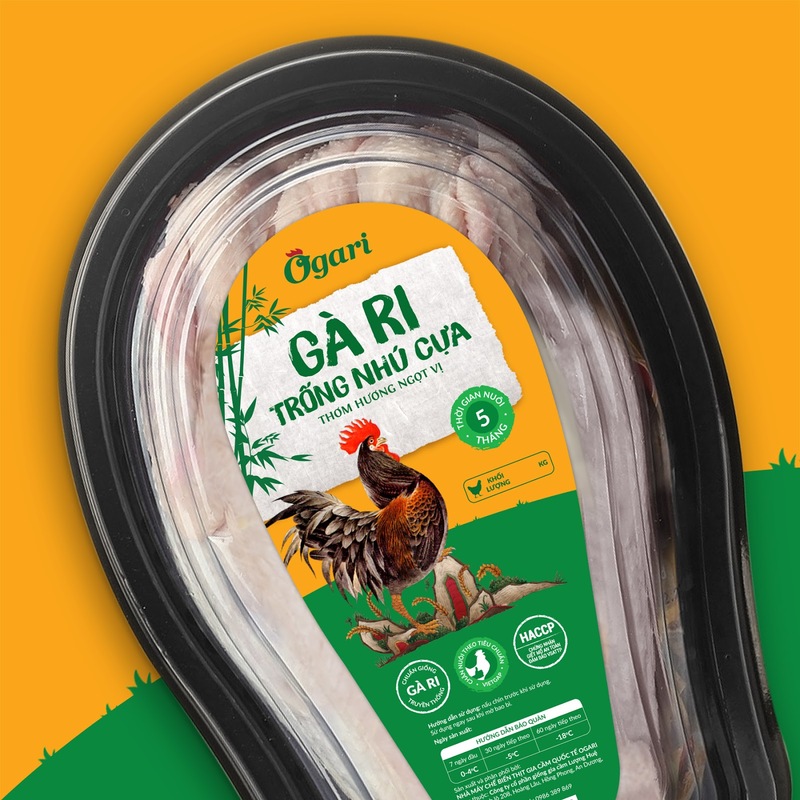 Ogari, a unique broiler chicken raised in Luong Hue farm, valued for its flavor and high nutrition which is Vietnamese favorite food. The farm owners impressed us by their passion for raising broiler and taking every care in order to serve customers a special product which is organic healthy and good tasted. The farm required a packaging design not only good food preservation but also eye-catching branding tool. 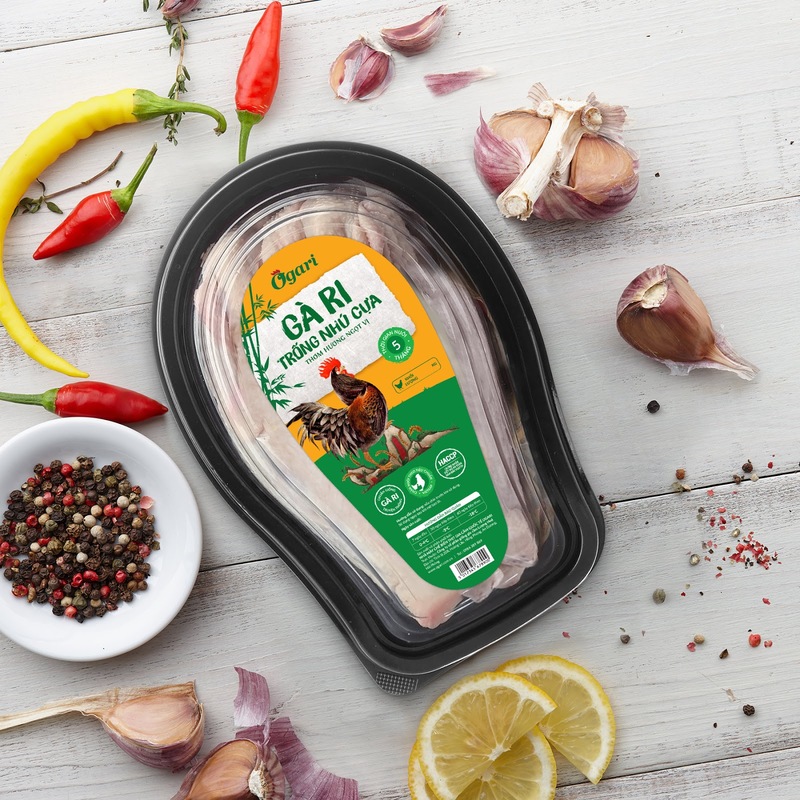 Ogari packaging’s goal is to raise customers awareness about Vietnam product in the modern aspect. To meet the client’s requirement as well as impress their target customer, the design concept use Vietnam country images to impress customer by high-quality breeding process. The key visual is inspired by Do craft and Dong Ho picture, two of Vietnam traditional material design. All the illustrations followed Dong Ho style and supporting elements like bamboo evoke the sense of familiarity about Vietnam village as well as giving the product line a strong character and distinctive look that stands out on the shelves. 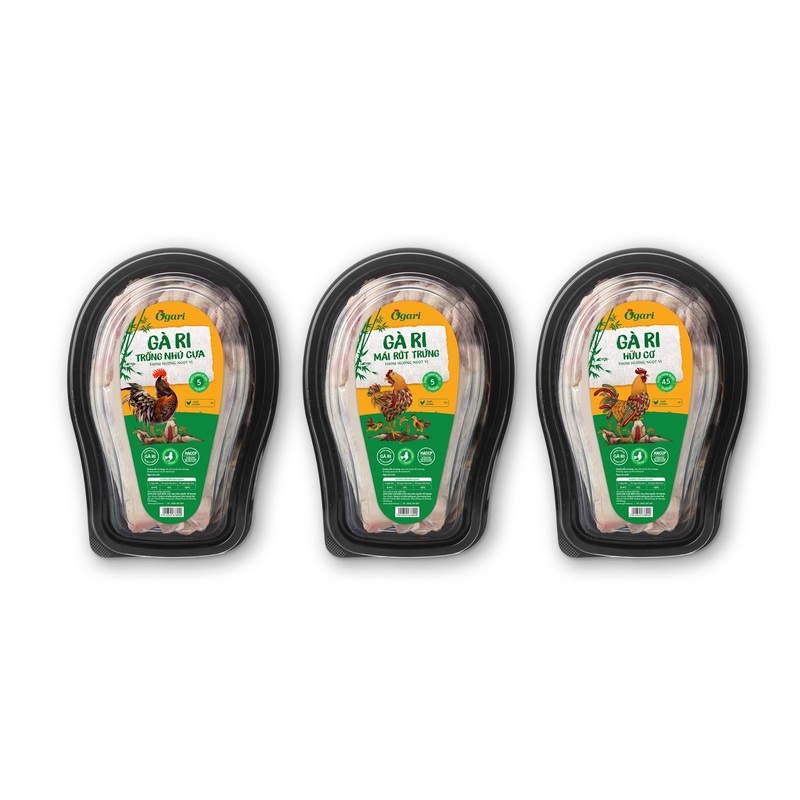 Almost Vietnam whole chicken have poor-design packaging, and even cannot compare with imported food. In order to change this problem, we offer an unusual concept including using black plastic box instead of cheaper materials such as foam tray, vacuum or nylon bag. It is an extremely strong element of the brand that it makes the products recognizable from any view angle. 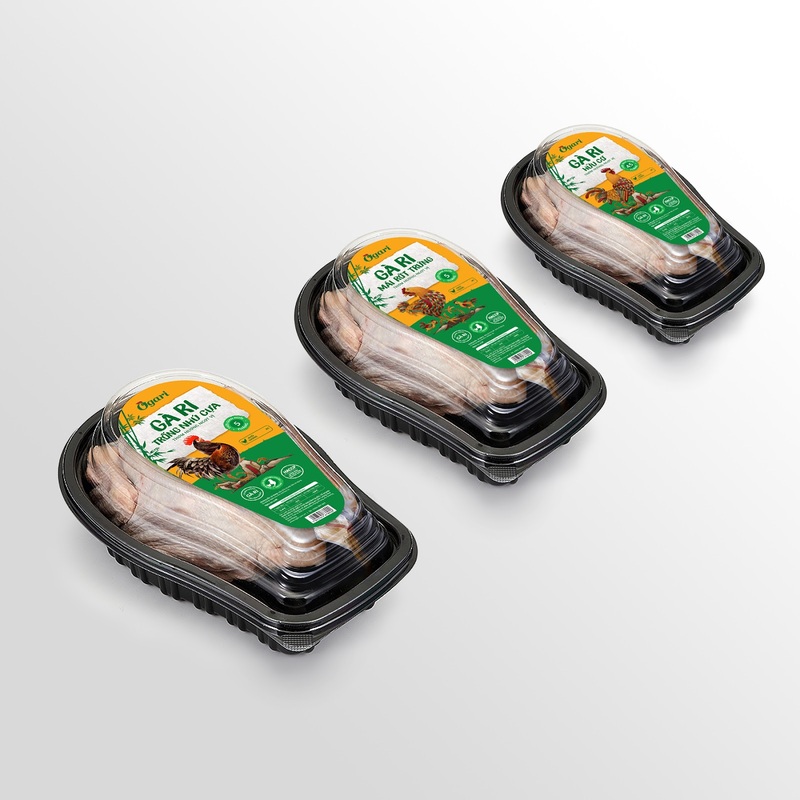 Additionally, our design must cover the disadvantages like chicken-breast, just reveal exactly wings and drumsticks through the lid.